Sundays are made for brunch, and what better place to experience brunch than Anthology! The Anthology kitchen staff turns farm fresh cuisine into our signature breakfast and lunch entrees that will excite your palate, while our bartenders put their signature spin on classic brunch cocktails. $10 bottomless mimosas anyone? Live music from an array of acoustic artists sets a welcoming ambiance. Feel free to sit upstairs in our fireside lounge or second floor balcony and catch a game. 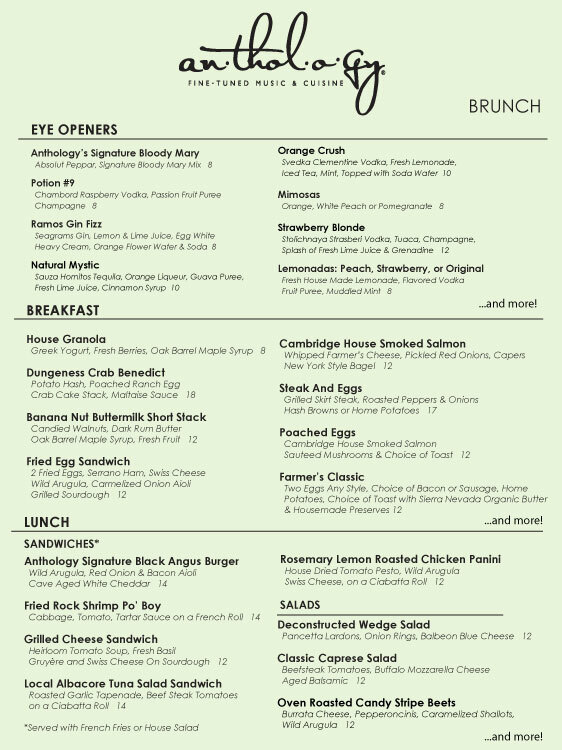 Able to accommodate large parties easily, Anthology is the perfect place to brunch with all of your friends. For the best experience, please call to make a reservation at (619) 595-0300. 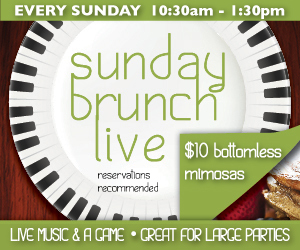 We look forward to brunching with you every Sunday!